I’ve decided to continue posting old postcards from Malmö, Sweden. 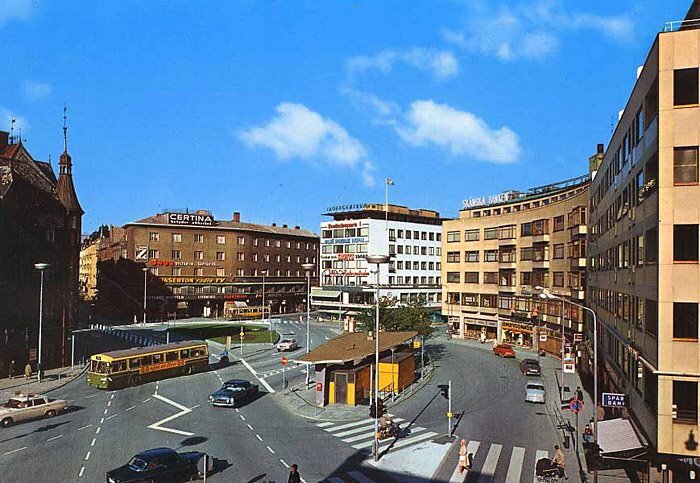 Here are three more which depicts how the central parts of Malmö looked in the 1960s. Notice how vibrant and happy everything looks and feels. I lived there myself for almost two years between 2002 and 2004, can’t really say I appreciate the changes the city went through in the 1990s. It feels very different from the city I remember visiting during 1980s when I was a kid.